Cheesewhizzes is a national cheese tasting club. We gather every other month to taste cheeses — and the drinks that pair with those cheeses — organized around a theme. Started in St. Helena, California, we are excited to share our model with the rest of the country. 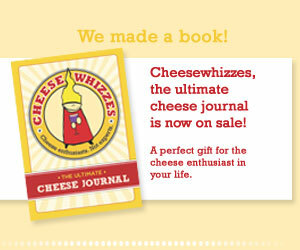 Want to start your own Cheesewhizzes chapter? Simply fill out the form and we’ll get you your very own hosting kit to start. Want to just borrow our ideas to throw your own cheese tasting party? View some of our past events and get inspired. 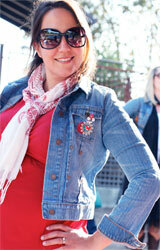 Founder Helen Jane Hearn may be known to many of you already as one of the Blogosphere veterans. Hailing from the heartland, Helen Jane came to the California as so many before her—in search of less snow in winter. She is currently a star of the interactive design world, a fixture at BlogHer and other radical feminist groups. Natalie and Helen Jane met at the winery, and became partners in cheese, bocce, cook book clubs, Karaoke nights, dinner parties and other scandalous affairs. Helen Jane makes her home and work in St. Helena, California, along with her intelligent and attentive husband James, beautiful little daughter Nora Lea and a little bun in the oven as well. Oh, also a husky dog that jumped out the second story window and ended up at the donut shop but that’s another story. A wonderful writer, designer, creative visionary— Helen Jane is down deep just a woman who wants to eat cheese. And really, isn’t that what all women want? Founder Natalie Wassum grew up on an almond and cherry ranch in the Central Valley of California. This is where she developed her love for Mexican food and Cheese. After graduating from Cal Poly San Luis Obispo, Natalie entered the wine industry, working in the marketing department of one of America’s favorite Napa Valley wineries. From her posh office (formerly a storage closet), Natalie became known for her skill at Power Point and her sassy fashion sense (Thank you North Napa Target and Grandma Barbara’s vintage jewelry). Too poor to go out and enjoy a beer or two at the local watering holes, Natalie focused her energy on baguettes, cheese, HBO and historical romances. She became especially fond of cheese, paired with wine leftover from management tastings. Studying food magazines and cheese books late into the night in her shagalicious apartment on Main Street, Natalie vowed that someday she would 1: stop dating losers, 2: become head of sales and marketing at a major wine company so she could boss around the people who used to boss her around and 3: start a fun social group that would get together on a regular basis to explore the joys of cheese, wine and friends. Not necessarily in that order. Happily, Natalie has achieved all of her dreams.